Your garden can be designed well and be beautiful and all. But maintaining the same is a task. You have to put extra efforts to sustain the way it is. We at Clearance King can act as a helping hand for you. We are wholesale suppliers for garden products. Pest control can be a real pain while maintaining the garden. Worry not we got it covered for you. 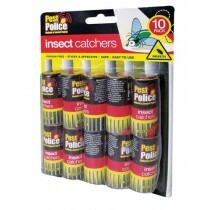 Our range of products includes pest killers and deterrents at a good discounted price. You can find branded and non-branded products as per your requirements and cost constraints. The quality of the products is our guarantee. You can avail the deals on the same. Check out our website or call us to place the order. Else you can walk-in to our store and we will be happy to help..Check out our website or call us to place the order. Else you can walk-in to our store and we will be happy to help.